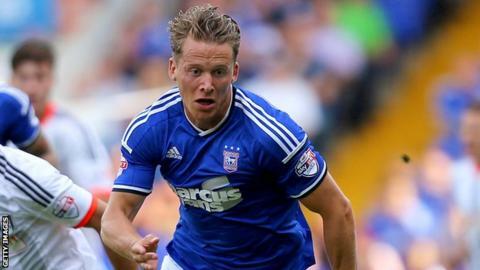 Scotland international Christophe Berra has signed a new three-year deal with Ipswich Town. The 29-year-old is Town's top scorer this season with three goals and will remain at Portman Road until 2017. The former Wolves centre-half, who was set to be out of contract this summer, has played 51 times since joining Mick McCarthy's side last summer. "I'm delighted to see Christophe commit to a new contract here," McCarthy told the club website. "It's great news for Ipswich Town, as he's been absolutely fantastic for us since he first walked through the door."